Owners say the Amerex B500 is long-lasting and reliable, and a perfect size for general home use. This is a chemical fire extinguisher that will work on all kinds of fires: trash, wood, and paper; flammable liquids; and electrical blazes. It weighs 10 pounds, has 5 pounds of powder, and has a 2A, 10B-C rating. The Amerex has all-metal valves and comes with a wall mount and a pressure gauge. Reviewers like that unlike many home fire extinguishers, this one is refillable. They also say that its 14-second discharge is enough to put out substantial household blazes, but at about 15 inches tall, the canister is still small enough to fit in a cabinet or in other tight storage spaces. The metal handle and trigger also earn a lot of praise for sturdiness and durability compared to cheaper plastic versions. It comes with a six-year warranty. The Kidde Pro 210 is very similar to the Amerex B500, but it contains one pound fewer of extinguishing agent. Like the Amerex, it is also a chemical fire extinguisher that can handle all types of blazes, whether they’re conventional, liquid, or electrical fires. It weighs 7 pounds, contains 4 pounds of chemical extinguishing powder, and has a 2A, 10B-C rating. Like the Amerex, the Kidde Pro is refillable and comes with a wall mount and a pressure gauge. Discharge time is 13 to 15 seconds, and Kidde reports a range of 10 to 15 feet. It’s about an inch taller than the Amerex but a few inches narrower, so it won’t take up too much space. Reviewers like the sturdy chrome-plated trigger and say the unit feels durable. Those who’ve had to use this extinguisher say it did its job well, but potential buyers should also note that Kidde has been plagued by a significant number of fire-extinguisher recalls in recent years. It comes with a six-year limited warranty. Buyers who want to be prepared with a beefier fire extinguisher should look into the Kidde Pro 10MP, which has a larger-capacity canister that holds 10 pounds of chemical fire extinguishing agent. It can handle all major types of fires, weighs 16 pounds, and has a 4A, 60 B-C rating, which indicates that it has enough power to handle larger blazes. As a high-capacity extinguisher, the Kidde Pro 10MP is more than 21 inches tall and will require more storage space than smaller units. It does come with a wall mount and a pressure gauge. Discharge time is 19 to 21 seconds, and range is about 20 feet. Reviewers like having the peace of mind that a bigger fire extinguisher provides, and one reports having used is successfully on a substantial brush fire. They also like the rugged metal trigger, but a few report users report issues with receiving dented or partially discharged units. Anyone who wants an easy-to-use aerosol fire extinguisher should check out First Alert Tundra, reviewers say. Sold alone or in a two-pack, the 14-ounce Tundra extinguishers look similar to large cans of bug spray and weigh 22 ounces each. Despite their humble looks, they are still capable of putting out all major kinds of small fires, including grease and electrical fires. However, buyers should note that there is no pressure gauge on these cans, and aerosol extinguishers have performed poorly in expert tests. Many experts warn against them or recommend that they only be used as a supplement to normal fire extinguishers -- never as a replacement. Reviewers love being able to stash a can of Tundra in a cabinet or on a counter because it is so small. They also say these little cans are less intimidating than a heavy, utilitarian traditional fire extinguisher, and a handful of owners say they’ve used them to put out a fire successfully. First Alert says Tundra cans have a wide-spray nozzle that helps them cover a wide area, and recommend using them from about 3 to 4 feet away from the fire. Small enough to stash in even the most compact cars, the First Alert FIAFESA5 Auto Fire Extinguisher is 5 B-C rated to handle small fires common in cars, such as gasoline, oil, grease, or electrical blazes. Note that it is not suitable for trash, wood, or paper fires, however. Reviewers like how small the First Alert is—one user compares it to the size of a 2-liter bottle at under 11 inches tall, small enough to stash in a trunk, in some larger glove compartments or even under seats. The few owners who’ve had to use it said it put out small automotive fires quickly and easily. It comes with a pressure gauge and a mount engineered to provide additional stability in a car. Note that like many other auto-specific fire extinguishers, the First Alert is not refillable. It comes with a five-year warranty. Two fire extinguishers are better than one. This a set comes with one unit that is suited for the kitchen to handle liquid and gas fires and a second unit is built to handle trash and wood fires as well as liquid, gas and electrical. Keep one close to the kitchen and perhaps another one in the basement or garage in case a fire strikes. ​This set makes a great gift for a new homeowner since this often something people forget to buy. We bought three top-rated fire extinguishers that our reviewers tested for three hours. We asked our testers to consider the most important features when using these fire extinguishers, from their weight to their classification. We’ve outlined the key takeaways here so that you, too, know what to look for when shopping. Fire class Fire extinguishers are sorted by “fire class,” which is designated by letters A, B, and C. Typically, the best option for household use is an ABC extinguisher that can combat all types of fire, but if you are looking for a product to put in a specific location, such as the kitchen or garage, you might want one that is specifically designed for grease or electrical fires. Weight Fire extinguishers can vary dramatically in weight — some aerosol options weigh mere ounces, while full-size products can weigh close to 20 pounds. Make sure to consider the weight of the extinguisher before you buy, ensuring that anyone who might need to use it can comfortably lift the canister. Refills After you use your fire extinguisher or it expires, you’ll need to replace it. Some products can be refilled, which is often significantly less expensive than buying a whole new canister. Consider whether there’s somewhere near you where you can get your extinguisher refilled — many fire departments offer this service, but you should check with your local station. “I think this is a high-quality fire extinguisher that everyone needs to have in their home,” raved one of our testers. Its best features, according to our reviewers, included the wide opening of the hose and the fact that it was durable without being too heavy. In fact, our testers had nothing negative to say about this product. “It's easy to lift, simple to fire, and can be refilled,” one reviewer declared. 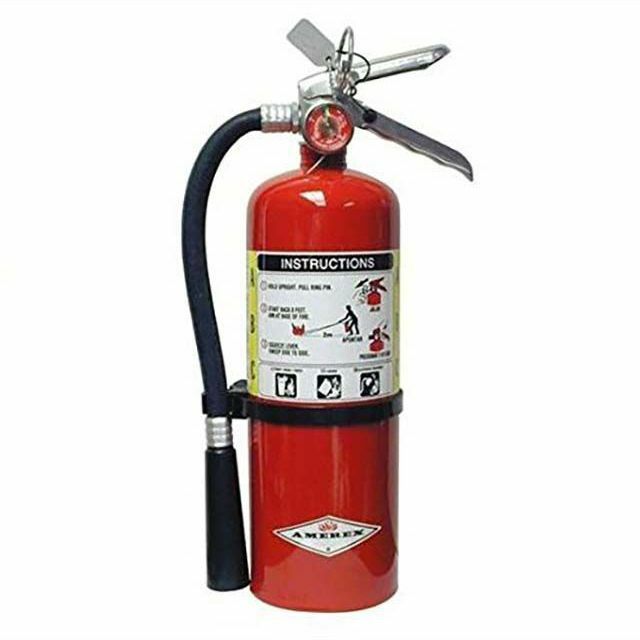 Our testers recommended this fire extinguisher as a “great option for your home or office.” Specifically, our reviewers liked how simple it was to use. One of our testers said that it was not only lightweight, but the pin broke off really easily, which meant she had no trouble aiming and firing. While there were no real negatives mentioned by our reviewers, it’s good to note that this particular extinguisher isn’t rated for very large fires. This fire extinguisher was recommended by our testers for large fires, in particular. In addition to being “very powerful,” according to one of our reviewers, the pin was also easy to pull. Noting that while this model is great for large fires, one of our testers warned its size and weight could prove difficult for certain people to use. 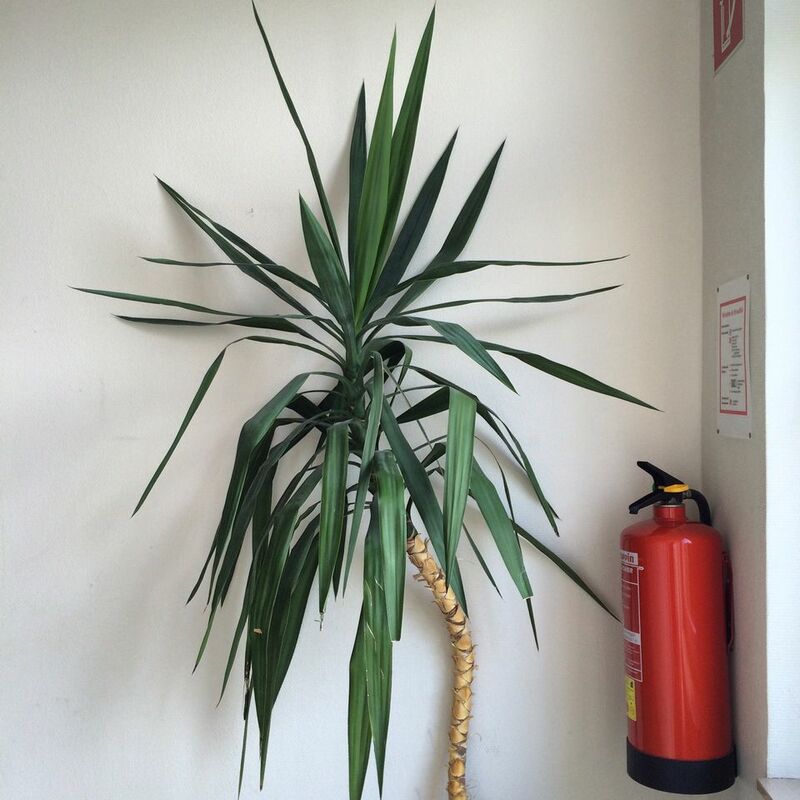 “A smaller fire extinguisher would work for most people's needs,” one of our reviewers observed.